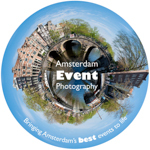 Since the very start of their careers, Amsterdam Event Photography’s staff have been passionate about providing their clients with the finest photography & videography coverage of their events. We have access to some of the best people in the business and can send you a full coverage quote today. Get in touch here as you are planning your next event.